Home » News of the Mumonkan club » The results of the training season 2012-13 in Mumonkan club. The regular training season at the Mumonkan club is over, so let us briefly summarize its main results. 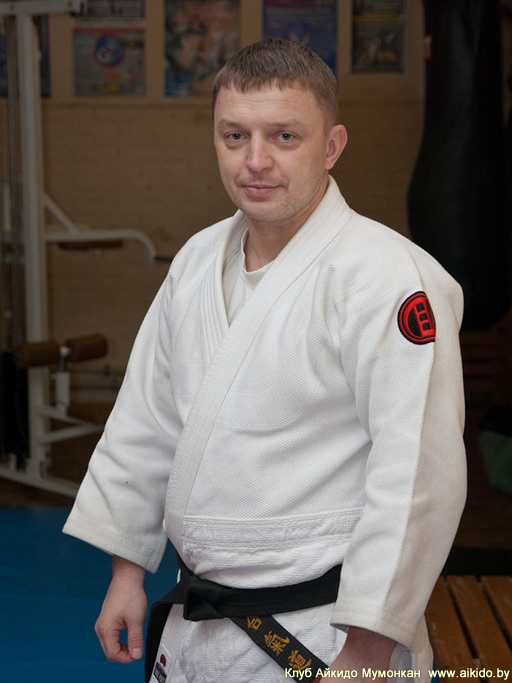 In April 2013 Mr. Vitaliy Goleshev, the head of the Mumonkan Aikido Club, has passed the 4 Dan Aikido Aikikai exam. Our congratulations to Vitaliy once again! 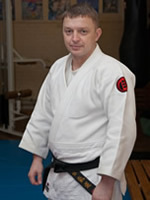 We wish him keep working hard as well as a success in the Aikido cultivation in Belarus. Traditionally, the Mumonkan club students have participated in the Aikido annual training qualification seminar held by Mr. Makoto Ito, the instructor of the World Centre of Aikido Aikikai Hombu Dojo. In the last season, 23 members of our club successfully passed the qualifying examinations: 6 of them have passed the exam for the 4th kyu, 6 students have passed the exam for the 5th kyu, and 11 students have got the 6th kyu. Our congratulations to all qualified! We wish them persistence, patience, and new discoveries in the Way of Aikido. If you are interested in the application aspects of Aikido, we invite beginners to our trainings! At the Mumonkan club, each training will be interesting, informative and rewarding. Dear colleagues! The Mumonkan Aikido Club has a summer vacation from July 1st to August 15th, 2013. There are will be no classes in Minsk during this period. We will announce the exact date of the beginning of trainings additionally. As for the changes in the trainings schedules in Vitsebsk and Navapolatsk, please call directly to the branch instructors. You are always welcome to ask us any questions about the Mumonkan club by e-mail at contact@aikido.by. Have a good holiday! See you on tatami in August! The results of the training season 2011-2012.